Before you give your dog a bone, read this! Share this warning with all dog lovers! The US Food and Drug Administration (FDA), after receiving nearly 70 reports of dog illnesses, warns that dog bones can be deadly! These dangerous dog bone treats are made with real bones. But the bones may contain other ingredients such as preservatives, seasonings and smoke flavorings, which can create blockages in the digestive tract, and/or cause choking, cuts, vomiting, diarrhea and in extreme cases, death. 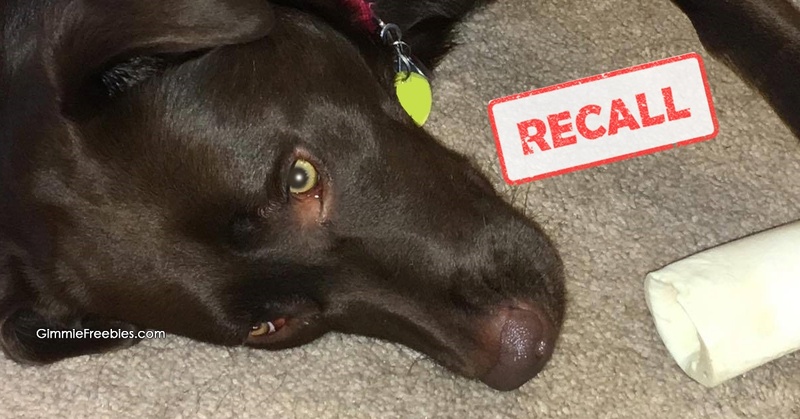 The FDA has received approximately 68 reports of illness caused by bone treats, and there have been at least 15 dogs that have died from complications of eating bone treats. Considering how many are probably sold, this may seem minor. But, for some dogs it’s lethal. There aren’t specific brands or labels listed for these dangerous dog bones. This is just an overall caution to warn dog owners to be careful. If you have given your dog this sort of treat most of their lives and they have not had any problems, then chances are they will do fine with them. But, is it a chance you want to take? Warning: also do not give dogs “table scraps” bones such as turkey or chicken bones. When cooked they become brittle and may shard and puncture your dog’s throat or intestines, and if not cooked raw bones could cause salmonella poisoning. Be careful what you place in your trash can, since dogs tend to try the “trash can buffet” which could result in hefty vet bills or worse! Rawhide treats have also been linked to medical problems in dogs and should be avoided. So, what’s safe to give dogs as treats? Good question! Dog breeds vary. Smaller breeds may do better with different treats than large breeds. Talk to your veterinarian about what they would recommend for dog treats and toys. Or, sign up for Bark Box! They send a monthly box of dog toys, treats and crazy dog joy!